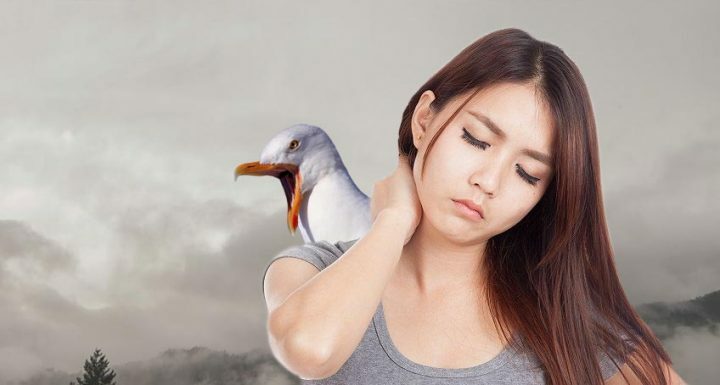 Turning quickly to confront a taunting seagull can result in a stiff neck. If it’s obvious, just avoid those circumstances in the future! The causes of a stiff neck are most often just a bit of bad luck and the associated discomfort only temporary. 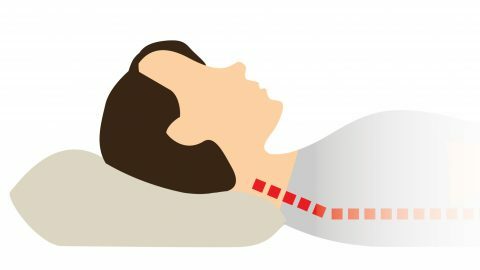 But if your stiff neck is persistent pain that isn’t obviously associated with any recent event, you might need some professional advice from a doctor. Whatever the cause, a stiff neck can be really unpleasant and some quick relief is probably what you’re looking for. Fortunately the ways to temporarily cure neck pain are reasonably consistent and simple. 1. Give your neck a break. Your big ol’ head weighs about 12 lb. That’s a considerable amount of weight that your poor neck has to support all day. As with many ailments, rest is often the best remedy. Give yourself a little time off: lie down. Make sure your head in a neutral position and that you’ve got a comfortable pillow. 2. Avoid stressful situations (and clear your mind). Are you worried that the government will discover you haven’t paid enough taxes? Nervous about the inevitable earthquake? Forget your problems with entertainment: turn on the TV and relax. Using ice to cool the affected area can reduce discomfort for some, but it can worsen a serious issue. If the pain intensifies, remove the ice immediately. 4. Ask for a massage. Do you have a considerate friend who is willing to give you a neck massage? Cash in! Even if the relief is only temporary, a good massage usually makes life a little brighter in the moment! 5. Apply a hot compress. A damp warm towel (use a microwave to heat it) can work to provide relief to a stiff neck. Remember that heat can make inflammation worse, so if your symptoms intensify, remove the it! 5. Try over the counter pain medication. Acetaminophen and Ibuprofen can go a long way to providing temporary pain relief. Please follow the directions on the packaging! 6. Warm up and stretch your neck. Remember, these stiff neck remedies are only temporary fixes! Those recovering from a seagull attack can try all of the above. 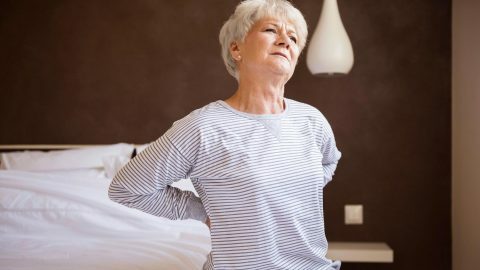 But if you’re experiencing a stiff neck on a consistent basis, do something that addresses the root of the issue(s) rather than just treating the symptoms. If you have some effective stiff neck remedies, please share them in the comments below! Give Hullo a try for 60 nights. If you're not sleeping better, just send it back to us for a refund.